HOUSTON – Time to bring out the smoking gun and work some serious courtroom magic in Sentai Filmworks' latest acquisition, Wizard Barristers. This 12 episode supernatural action thriller is directed by Yasuomi Umetsu (Mezzo DSA, Galilei Donna), with scripts by Michiko Itou (HENNEKO, Day Break Illusion) and animation production by Studio ARMS (Elfen Lied, Queen’s Blade: Rebellion). When the laws of magic are broken, someone’s got to enforce them, and that duty falls to the deadly men and women of the Police Department’s Section 1. However, even the most malevolent mage has a right to a fair trial, and defending those craven mavens and nefarious necromancers in court is the job of the Benmashi, the Wizard Barristers. It’s a tricky profession, requiring both arcane ability and a judicious sense of jurisprudence, and at just 17, Cecil Sudo is not only the youngest Benmashi at the Butterfly Law Offices, she’s the youngest one ever! That won’t stop her in her duty to defend the alleged adepts and prestidigitating perps, but it’s going to mean long hours burning the midnight brimstone, summoning up summaries, parsing phrases with paranormal paralegals and cutting deals with opposing counsels from hell. And when a young Benmashi starts to discover that her OWN potential to charm is more magical than she realized, there’ll be hex-tra incentive to start working wonders outside the courtroom as well as in it! 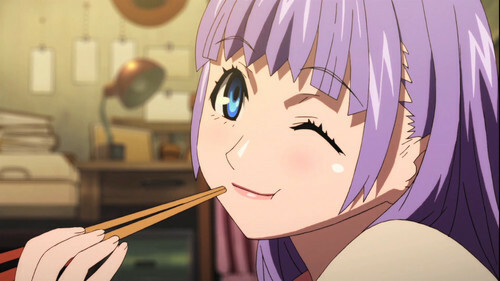 Prepare to be beguiled as the most enchantingly Adept Attorney ever makes her case in WIZARD BARRISTERS! Wizard Barristers will be available soon through select digital outlets with a home video release to follow.